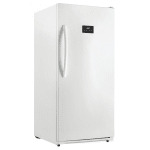 The Danby DUF138E1WDD upright freezer has shelves and baskets that organize food and drinks. Made of wire, the shelves ensure air circulates around the stored items freely to maintain uniformly cold temperatures. Bulky items can be stored in the wire basket, and tall items fit in the door shelves. This unit minimizes frost buildup in the interior, and users can control the freezer with a digital thermostat on the outside of the door. Custom temperature settings can be protected with a lock to prevent unwanted changes and tampering. 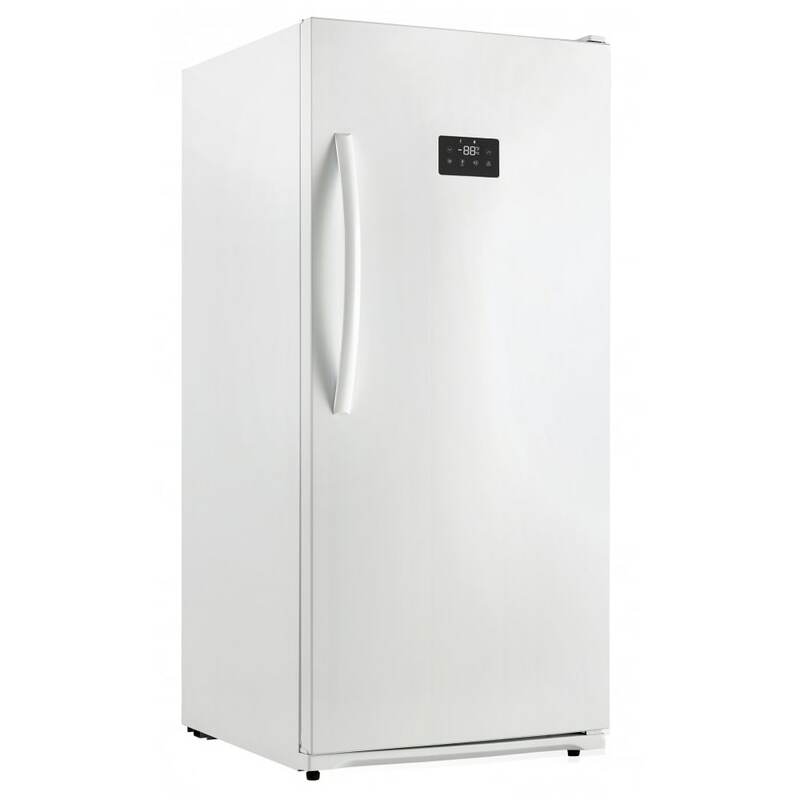 If the user recently stocked the freezer, a quick-freeze function quickly brings the product down to the set temperature.